Bath has been described as the 'graveyard of ambition' and for many of those seeking to develop property in the city this has often been the case. However, it need not be. With our exemplary track record in delivering challenging planning and listed building consents in the city we have the experience and expertise to help you realise your ambitions. Over the past 40 years we have designed some of the city's most recognisable new buildings, all situated within the UNESCO designated World Heritage Site, within Conservation Areas, some on Scheduled Monuments and most within the setting of listed buildings. In addition we have converted, altered, repaired and refurbished over 100 listed buildings of grade I, grade II* and grade II status alongside other structures of historical and architectural significance. 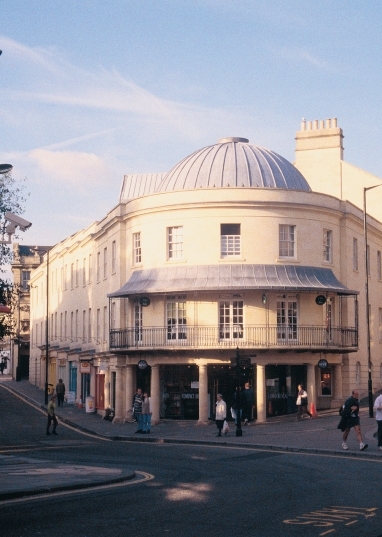 We are widely recognised by our clients as the 'go to' architects for complex and sensitive projects in Bath and have established for ourselves an enviable reputation for delivering viable, high quality and well designed buildings. We are well connected and have an excellent working relationship with the Council's Planning and Conservation Officers, English Heritage and local interest groups. We relish a good challenge and always aim to exceed expectations.